Do I need 3rd Party System Certification? What are ISO and AS/NZS Standards? What is an “Integrated Management System”? What is the difference between a “System Consultant” and an “Auditor/Certification Body”? What value does a management system add to my business? Our role is to help businesses realise their potential by assisting you with the development and implementation of business management systems. 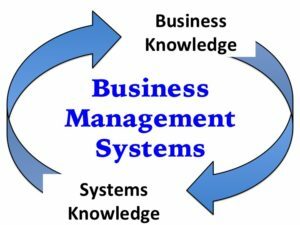 A Business Management System is a methodical framework used to maximise the effectiveness of processes and practices within your business. Often these systems relate to quality, safety and environmental management, but what you include in your system depends largely on your business objectives and management preferences. CREST Assured would like to discuss your business system needs and then assist you with addressing system shortfalls. We believe in “fit-for-purpose” and “keep it simple” – because systems are meant to assist the success of your business, not impede it. We combine your knowledge of your business with our knowledge of systems. Assisting your business with implementation of its systems. We commonly service construction and manufacturing industries in the disciplines of quality, safety and environmental management but have experience with other types of system needs, including for example food safety programs. System requirements and preferences are unique to your business and we encourage you to develop the systems you want, after all, it is your business. Please review and enjoy the contents of this web site and if you have any questions or business support needs, please don’t hesitate to contact us, we look forward to hearing from you.